dizziness, and nausea. At first glance, you may imagine that you’re actually experiencing the flu virus or suffering from a lingering case of the common cold. Your home needs to have the mold eradicated before you can truly start to feel an improvement. Homeowners constantly search for the best way to rapidly remove the mold growth and prevent the spores from spreading to additional areas. Instead of buying product after product and hoping for results, you want to make a wise investment with your resources. That’s why you need to uncover the truth about which brand offers the top mold removal spray for wood. The RMR 86 mold removal spray for wood is a serious contender for one of the best products on today’s market. 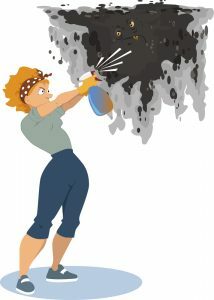 It offers quick mold remediation that can be safely applied by homeowners themselves, as long as they take the proper precautions. RMR 86 is safe when you take the time to read through the detailed safety precautions and necessary steps to shield yourself from the chemical spray. What makes the RMR 86 mold removal spray for wood special? You may be overwhelmed by all of the selections available at your local home improvement store, so what makes this brand special? Be sure to check out why we recommend this as our go-to mold removal spray for wood. This bleach-based formula works effectively and quickly on almost any surface type. The solution is very strong and has the ability to deeply penetrate into the surface of many porous substrates like wood. It doesn’t require the assistance of an expert. It doesn’t even require a significant amount of elbow grease on the affected area. You can ditch all of your scrub brushes, sanders, steel wool pads, and the other abrasive items you purchased in an attempt to eradicate the mold. All you have to do is spray the solution onto the surface straight from the bottle. It’s already ready to use without any additional dilution or mixing. Many of the RMR 86 reviews claim that you can see the mold stains begin to disappear within as few as 15 seconds. This makes your home safer for your family almost immediately. It is an extremely powerful product that is readily available for homeowners to use, as long as they have the necessary protective gear to apply it. How Can I Use RMR 86 at Home? 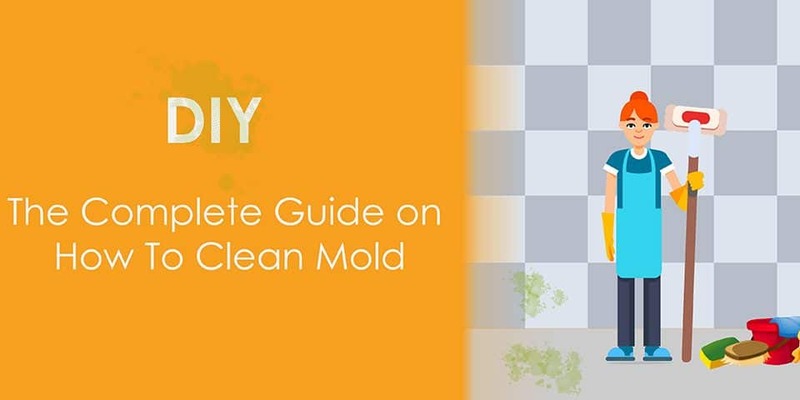 Even the least handy homeowner can make good use of this mold removal spray for wood. You will need a few pieces of equipment to use it safely through. Be prepared to purchase or borrow full personal protective equipment. For more information on whether RMR 86 is safe, you can read through the safety precautions. We highly recommend that you take the time to read them all the way through prior to applying this substance in your home. If you’re looking for a mold removal spray for wood that actually works, this RMR 86 is going to be a good investment for you. Within seconds, you’ll start to see the dramatic effects of this product. For a solution to mold growth that is both simple and quick, you need to purchase a bottle of this RMR 86 mold removal spray for wood.